The raw material…plans for a semi detached home to be built by a developer in an estate in Co. Kildare. 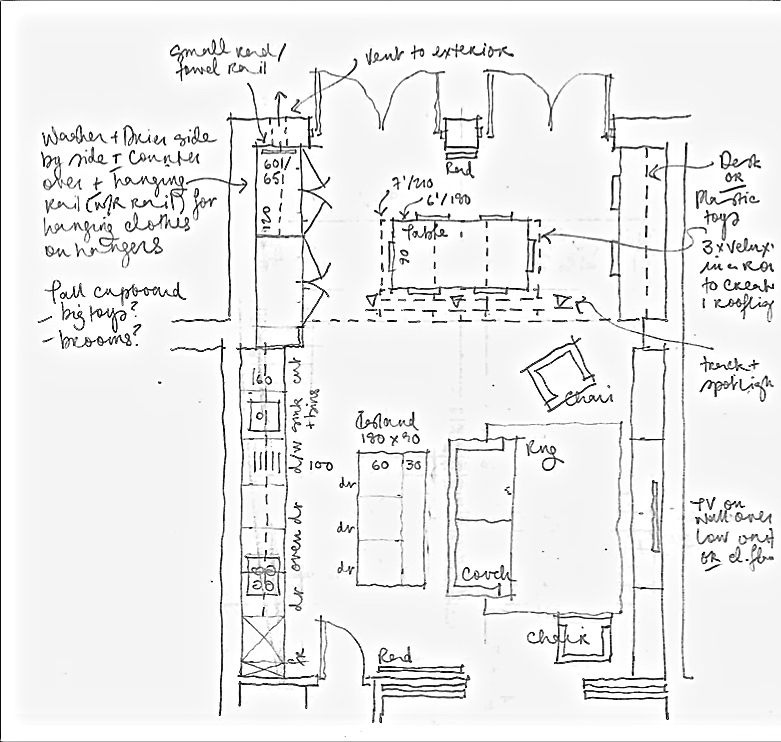 The brief…could the layout be improved to provide a better family home, including a small extension if necessary? A porch to the front door would be a welcome way to form a barrier between inside and out. There is no entrance hall, just a corridor which weaves its way from front to back. I am really not a fan of walls built at a 45 degree angle…here they are used to make space for the Disabled-accessible toilet at the front and the Utility/Storage to the rear. The Living Room is compromised by the “bites” taken out by these 45 degree walls at each end. 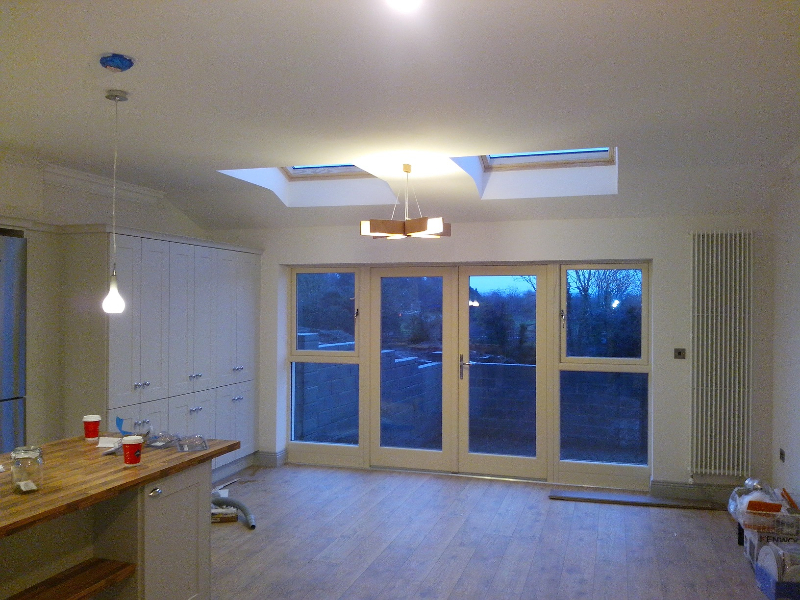 The hinged, double doors between the Lounge and the Dining area will get in the way of furniture in the Dining area. The Dining area has no window of its own and will feel “hemmed in” by the Sun Room and Kitchen. The kitchen units will have to be placed on the outside wall: this will make the room feel “trapped”. The Utility/Storage looks very tight and is an awkward shape. The “Sun Room” is too small to be of much use to a family. The Solution…focusing on the space to the rear. 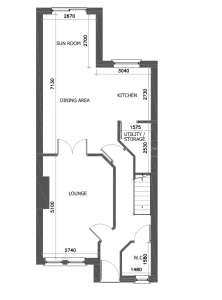 The space is “squared off” to create a large Kitchen, Dining Family area. This includes eliminating the proposed Utility/Storage area and the infill of the “L” with a modest extension. 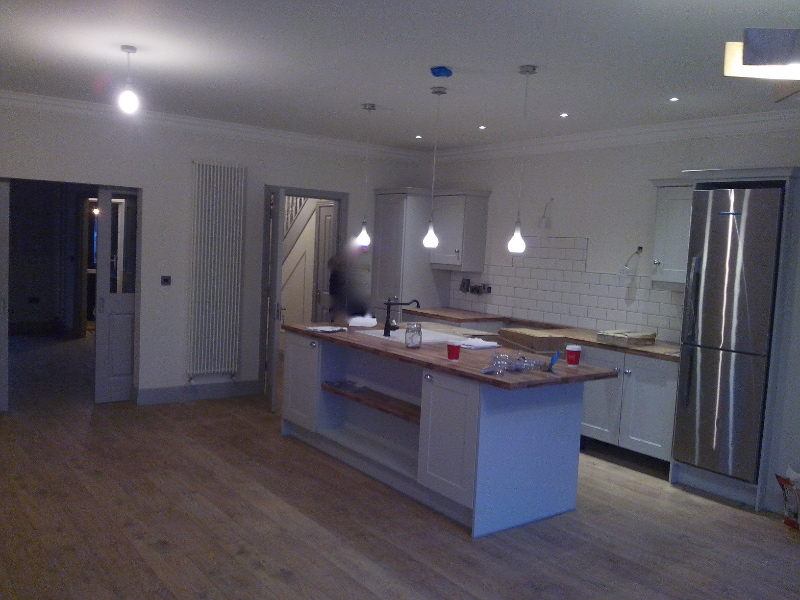 The kitchen is located inside the door from the hall with a 450cm run of wall units and 180 X 90 cm island. A wall mounted TV forms the focal point for the family area in front, with room for a large couch, a rug and lots of toy storage. Sliding “pocket doors” connect the Family and Lounge areas. The dining area is located in the full width space which overlooks the garden. Full height storage on one side includes a 120cm wide Laundry cupboard with the washing machine and drier side by side and a counter on top. Clothes are aired on a hanging rail 120cm above the counter. The space is heated with a towel rail and vented to the outside. The wall on the other side is free for a desk or for shelving/toy storage. 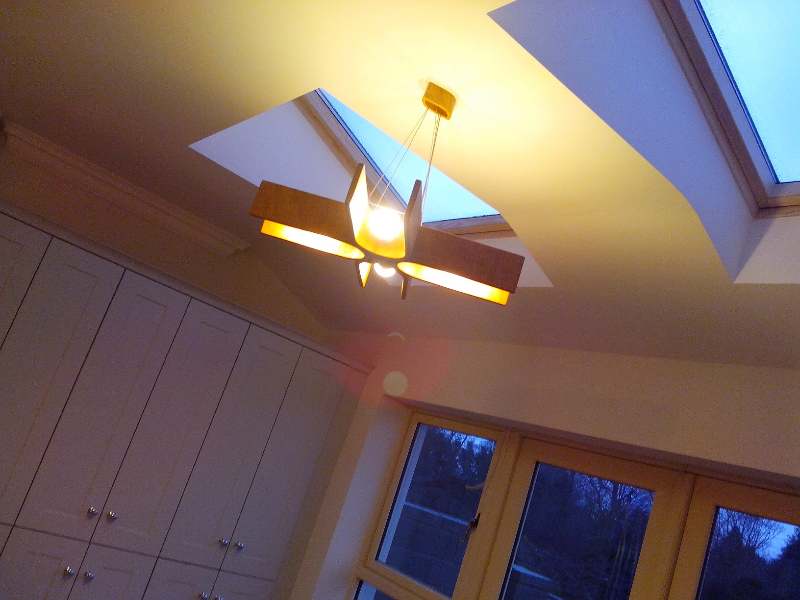 Roof lighting to this space located near the junction with the main house means that the kitchen and family areas are bathed in light.